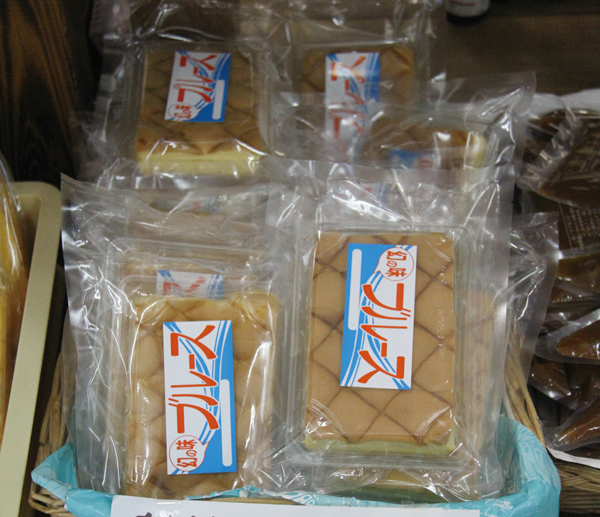 An Okinawan sweets “Blues” is only sold at Okinawa, and its limited number of producing everyday, that’s why its not easy to get one and taste. 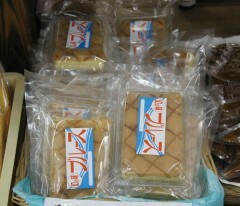 Then its called phantom tasty of the Okinawan sweets “Blues”. Blues is like a castella sponge cake, but more chewy and custard is in. “Blues” is made by Mitsuya Honpo Ryukyu sweets shop located at Onna village, and you can get the Blues at other branch in Road station of Kyoda, Onna or Uruma city plaza.